Lightning Jim - Only about 41 broadcasts have been located. 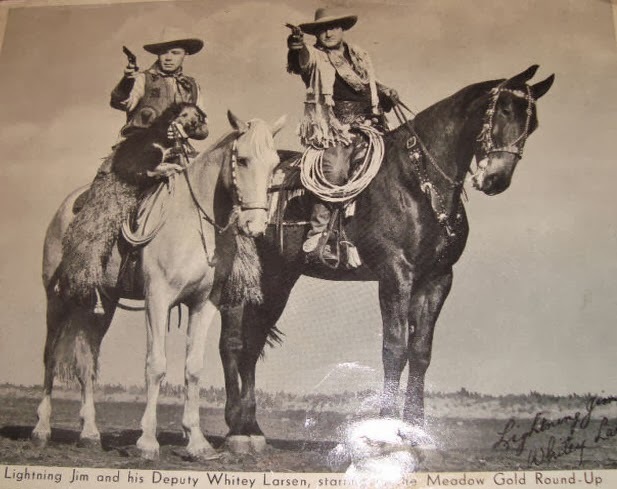 Marshall Lightning Jim Whipple on his horse Thunder and his deputy, Whitey Larson explore the history of the west through adventure. 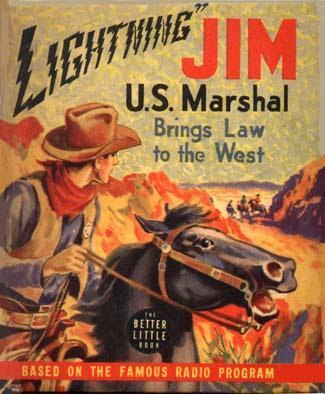 The program originated in 1938 and was called The Adventures of Lightning Jim. At this time it was a West coast program. The program returned to the air in the 1950s and a total of 98 radio programs were produced.